So this is a collaboration blog of our monthly favourites, we have both picked 5 items that we have loved throughout January. Leave a comment about your monthly favourites, we would love to hear about yours! 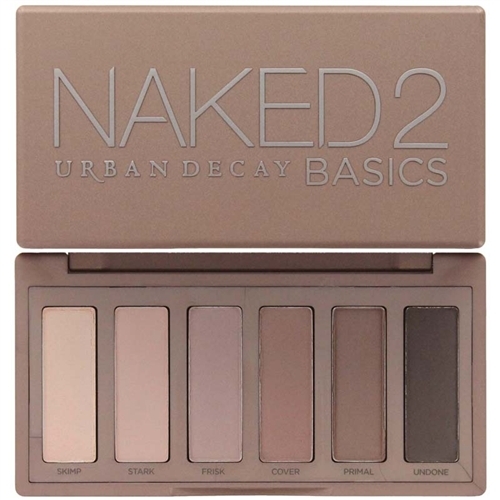 Urban Decay Naked 2 Basics Palette – I have been finding myself using the Naked 2 basics palette a lot this past month since receiving it as a gift for Christmas. I think I have been using it so much because it is such a good size to fit into my make up bag that I take it with me when I am not at home, and it is easier for me to grab than the full size Naked 3 palette. The colours in this little palette are great for every day, they are long lasting and don’t crease either. Elizabeth Arden Lipstick in the shade Perfect Blossom, no. 14 – This is definitely my most used lipstick this month, and is the colour that I tend to reach for most frequently because of the fact that it is so neutral and goes with pretty every make up look that I create and goes with pretty much every outfit that I own. I love these lipsticks they are so moisturising and nourishing and don’t leave your lips feeling all dry and cracked like some brands do. Definitely worth spending a bit more money on a decent product. I was fortunate enough to get my hands on a couple of these lipsticks for a quarter of the recommended retail price! 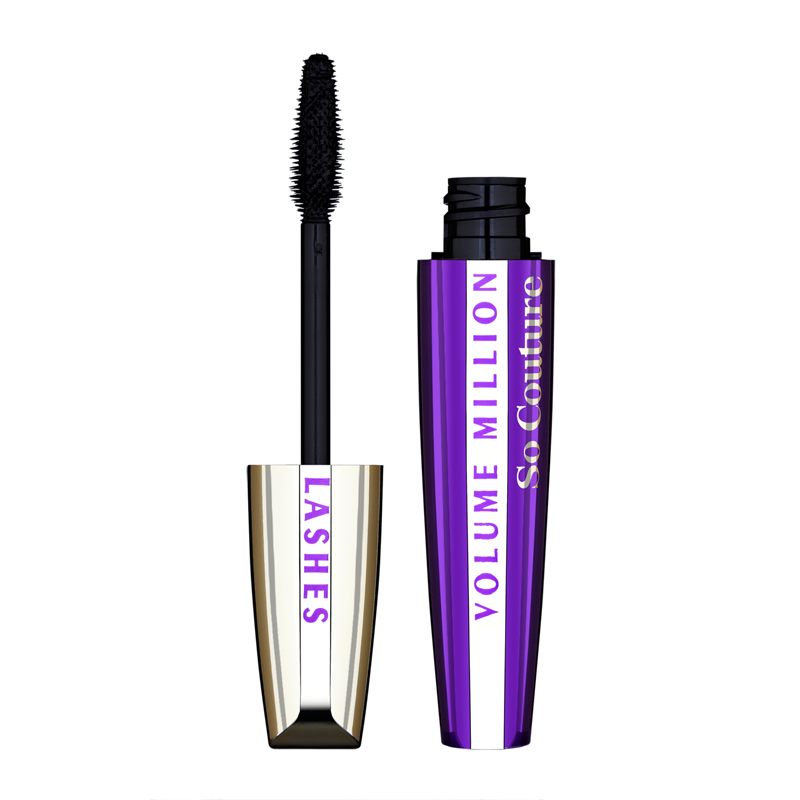 L’Oreal Paris Volume Million Lashes So Couture – I recently picked up this mascara online at Superdrug because they had a buy one get one half price offer on L’Oreal make up. I actually bought two of them before even testing it myself because of the amazing reviews that I had read about this mascara! I am so glad that I chose this one, it is amazing at coating your lashes and you can layer the mascara up without it being clumpy. Having being used to higher end mascaras such as Sonya Volumising mascara and Benefit They’re Real mascara I was a bit skeptical of going back to more affordable ones, but this one is the same quality as the more expensive ones at a fraction of the price! Definitely worth a try to those of you out there that are in need of a new mascara! 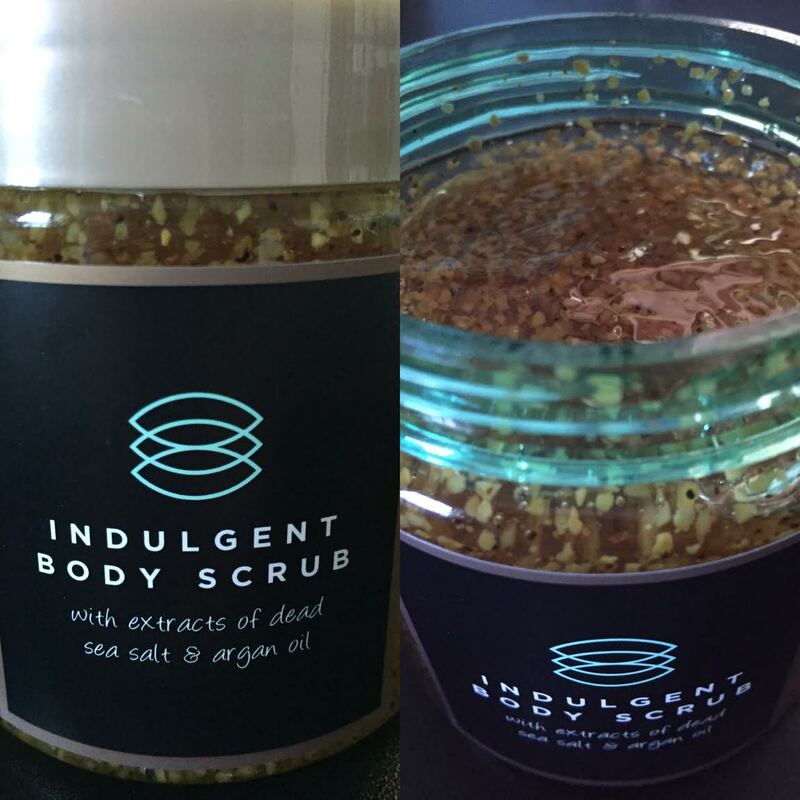 Indulgent Body Scrub – This body scrub is made up of ingredients such as sea salt, argan oil, apricot and pecans etc and smells amazing. It is so good to exfoliate your skin two or three times a week to make your skin feel baby soft and to get rid of any impurities. Make sure that you follow using body scrubs with a body lotion though or they can have a drying effect on your skin. I received this set for Christmas by Indulgent Deluxe Pampering Collection, and what makes me love this brand even more is that it is in fact cruelty free which means no animals were used to test the products on! That in itself is a win-win situation for me because I would prefer to use cruelty free products any day over companies who don’t test their products responsibly! 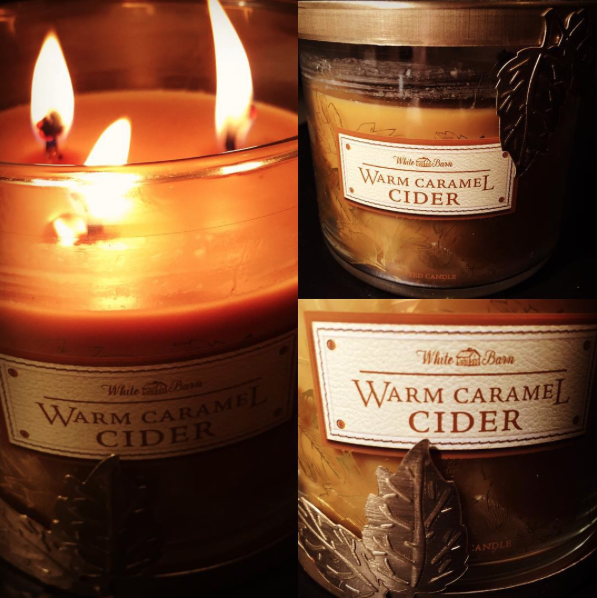 Bath & Body Works, The White Barn Collection, Warm Caramel Cider Candle – I wasn’t planning on adding a candle to my monthly favourites this month, however this candle is absolutely divine, it smells just like the name suggests, warm caramel cider and it is the perfect fragrance to have wafting around your house in the cold winter months! This candle is actually discontinued so I am treating it like gold dust (it is extremely hard to get bath and body works products in any case here in the UK) but I have to say it is probably my all time favourite candle fragrance and if I could find the scent I would make an endless supply of these candles! Revlon 030 Bronze Glow – I received this palette from Becca at Christmas, and it makes my face look like I’ve been on holiday! It has a range of bronzing and highlighting colours. I find you only need to use a little powder each time, and I wear it as a final touch on top of my foundation. You can use it to highlight and contour your cheek bones, nose, chin and forehead, where the sun would catch you. It is quite a bright powder, so you only need to use it lightly, but I definitely recommend this palette to everyone. Muller Corner American Classic Raspberry Cheesecake Brownie Yogurt – I’m sneaking in an item which isn’t a beauty product, but I do think this adds to your inner beauty. I wanted to start the new year by being a bit healthier. I am well-known for being chocolate obsessed! (Having a drawer in my desk at work being named as the ‘chocolate drawer’ doesn’t help!) I like to nibble throughout the day, as it keeps me going, but I needed a healthier option, and I found it in these Muller Corners. All good supermarkets are selling these on offer, so stock up your fridge, and eat (at least) one a day. This one is definitely my favourite flavour! Raspberries and brownies? What more can someone want? Along Came Betty Pure Pores 15 Minute Detox Mask – I can’t tell you how much I LOVE this face mask! I love it sooo much that I wear it longer than 15 minutes sometimes! It is perfect for those long soaks in the bath during the cold winter nights. It is white with minuscule pink beads. It feels so smooth on your face, and smells absolutely amazing. You need this product in your life!! Sometimes the better products are the less well-known brands. Wella SHOCKWAVES Volume Mousse – Now I have crazy thick hair anyway, but there is nothing better than ‘volumising’ what you’ve got! Friends often ask me how I create volume in my hair, and I tell them it’s all down to Wella’s Shockwaves mousse. Pump out the mousse on your hand, and then comb through your freshly-washed damp hair. For the best results, put the mousse on the under layers of your hair, or in your roots and crown of your hair. Then blowdry your hair upside down, so that WOW VA VA VOOM look! This product is totally affordable too, and it definitely helps beat those January blues! L’Oreal Paris Mythic Oil – Another product for reviving tired, flat, dull, winter hair. My hairdresser recommended this product for sprucing up dry h air, especially good for coloured hair (and my plum hair isn’t natural remember?!?!) Comb a small amount through your freshly-washed hair, for that smooth and sleek look. Perfect as a heat protection product, and not forgetting it smells oh-so-irresistible!! So there you have it.. my top 5 items of January, and they have made my January a lot brighter. Why not comment yours now? Or tell us if you use any of these items Becca and I have reviewed.